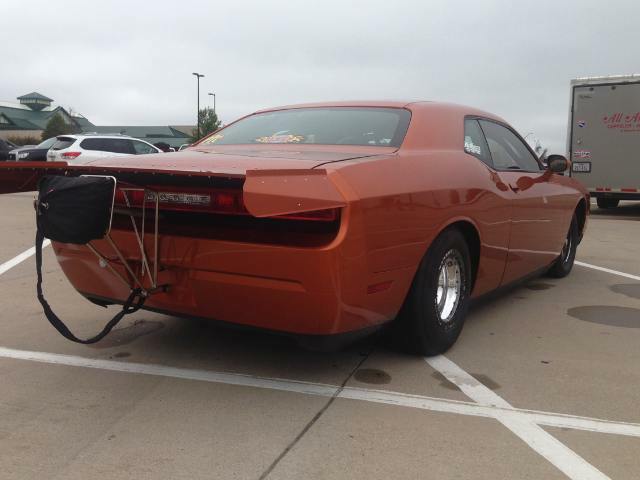 Diehard Dodge lover Marty Pearcy commissioned B & B to build this Dodge R/T Challenger from the ground up. It was a stripped car that had been stolen, then recovered which made it a perfect candidate for this project. 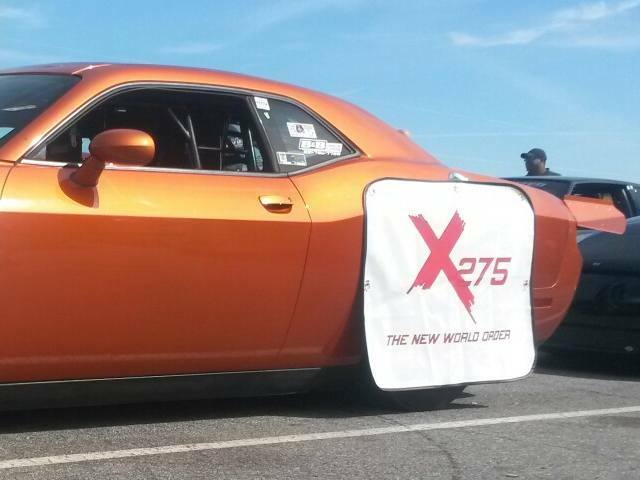 Marty competes in the highly competitive X275 Drag Radial Class which features zero late model Dodges at this time, which makes this machine a head turner anywhere it races. 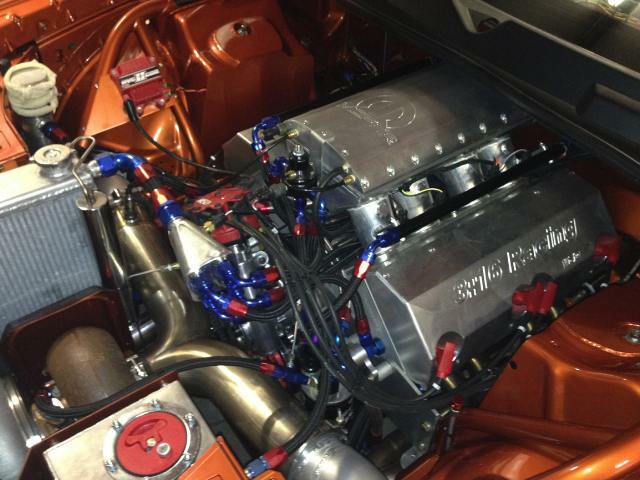 Looks wasn't all Pearcy was after, he wanted to be competitive as well, so he equipped it with a rare Dodge R4 block with P5 Billet heads pressurized with a Precision Large Frame 88mm turbo which will supply plenty of go power. 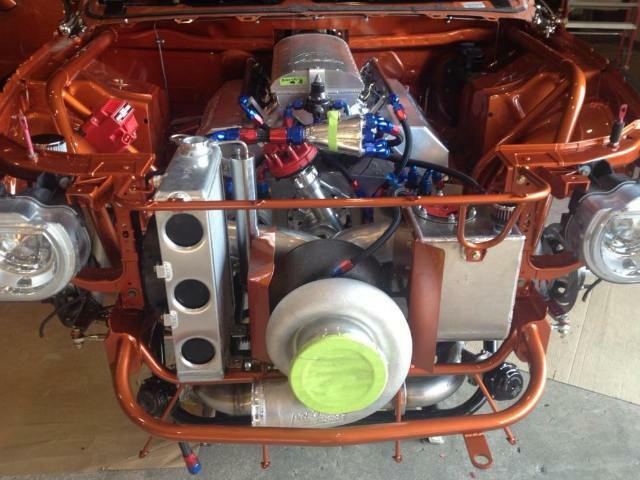 The Drag Pak equipped 25.3 chassis puts the power to the ground through Mickey Thompson's 275 Pro Drag Radial. Marty's already been 4.78@151 with the car in early shakedown testing, and it shows a lot of promise with further optimization. 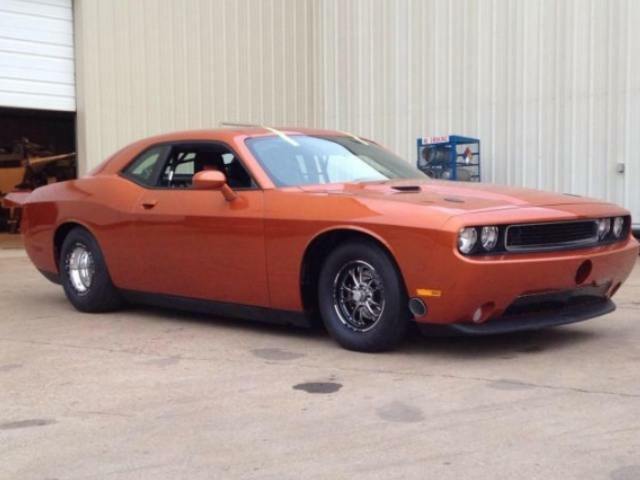 You just have to see this car. The job that B & B did is just so amazing, it's nicer than any Pro Stock car that I've ever seen. I spent about two hours just walking around the car and staring - I was afraid to touch it at first!